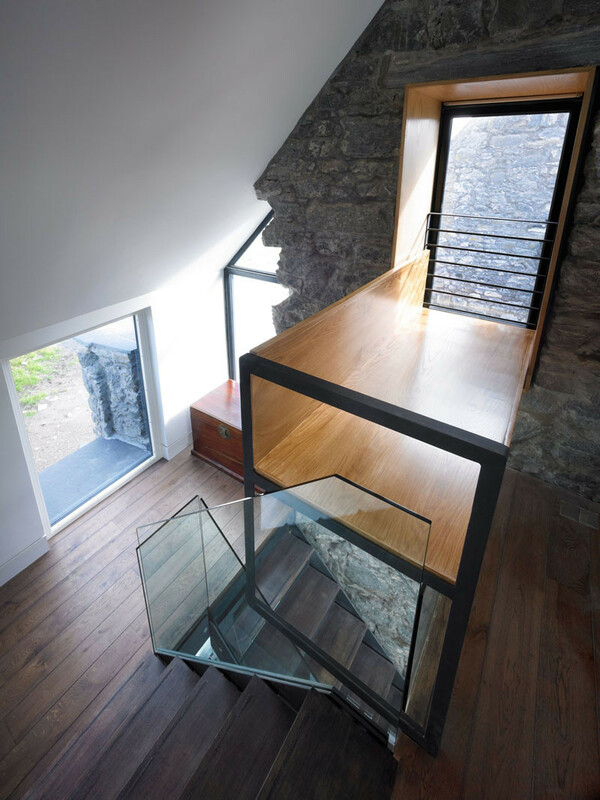 WT Architects have taken an original stone house, that was built in the mid-1700’s, and transformed it into a home that’s livable in today’s world. 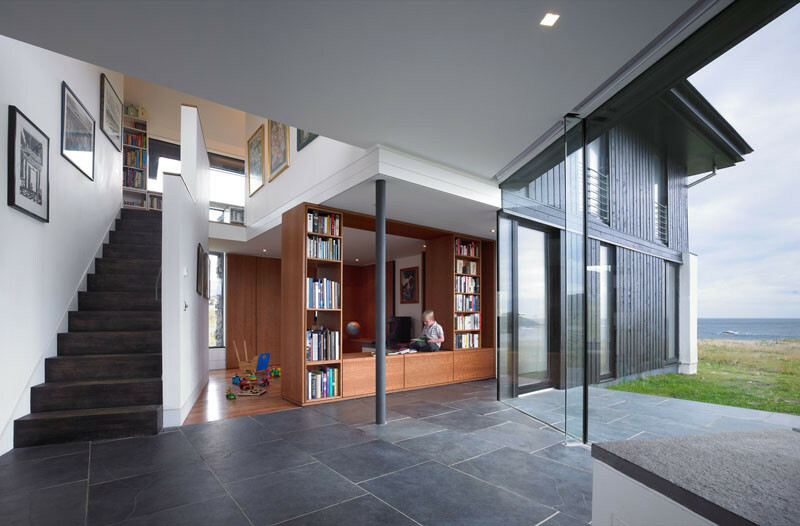 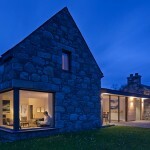 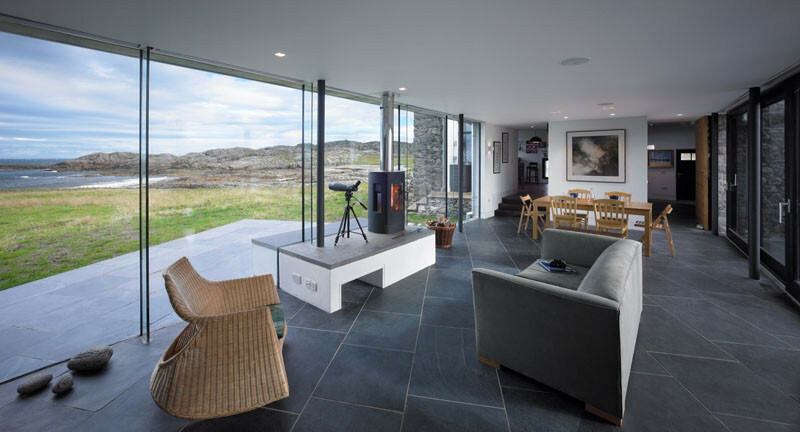 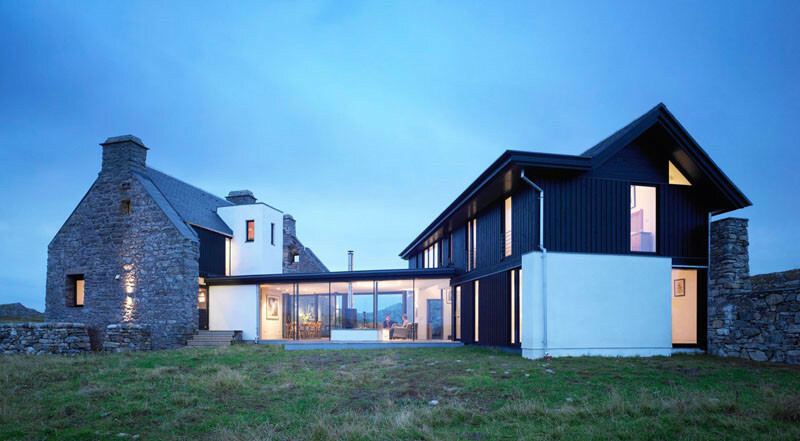 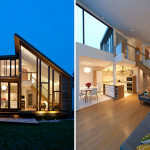 The home is located on the Isle of Coll in Scotland. 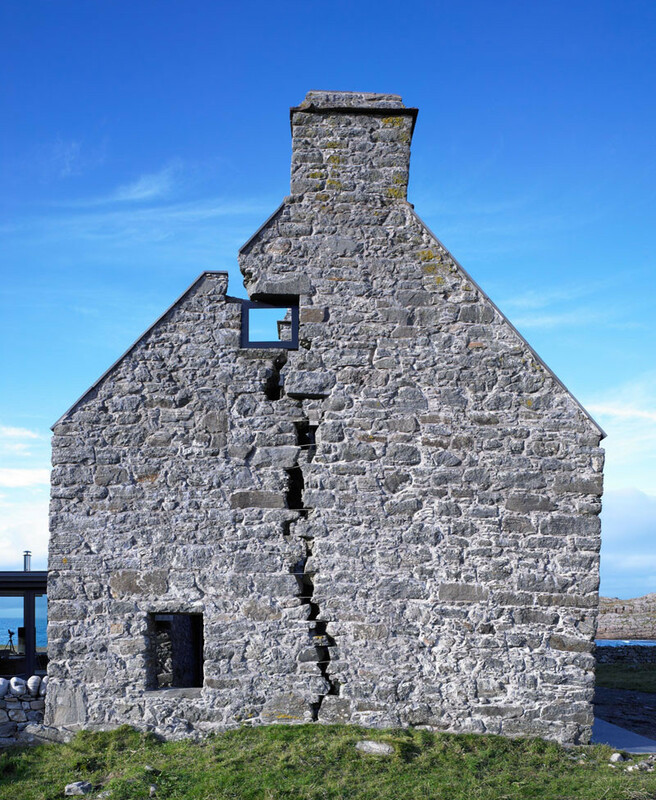 The original stone building was abandoned in the mid-1800’s as it started to crack. 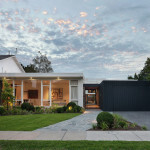 When the current owners acquired the building, it was more of a ruin than a house, so they worked with WT Architecture to create a home for their family. 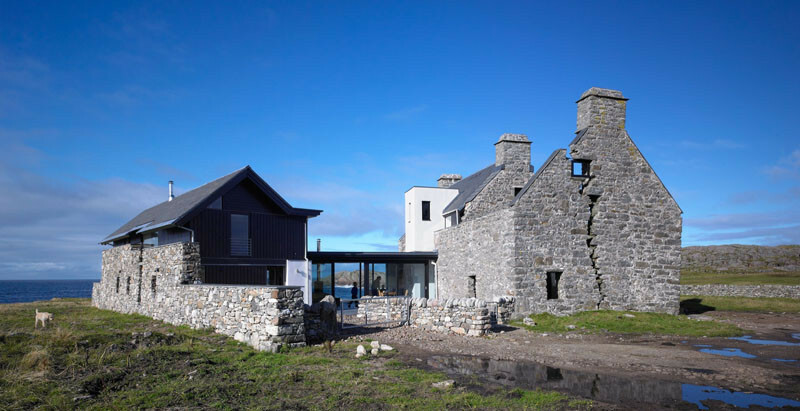 They decided to incorporate the ruins into the design of the new home, keeping as much of the original building as possible. 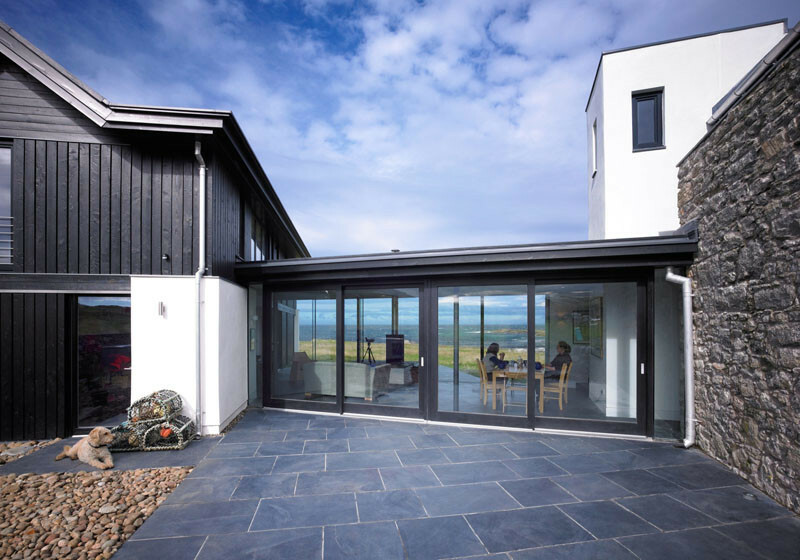 The new part of the home has large floor-to-ceiling windows that take full advantage of the spectacular view of Grishipol Bay. 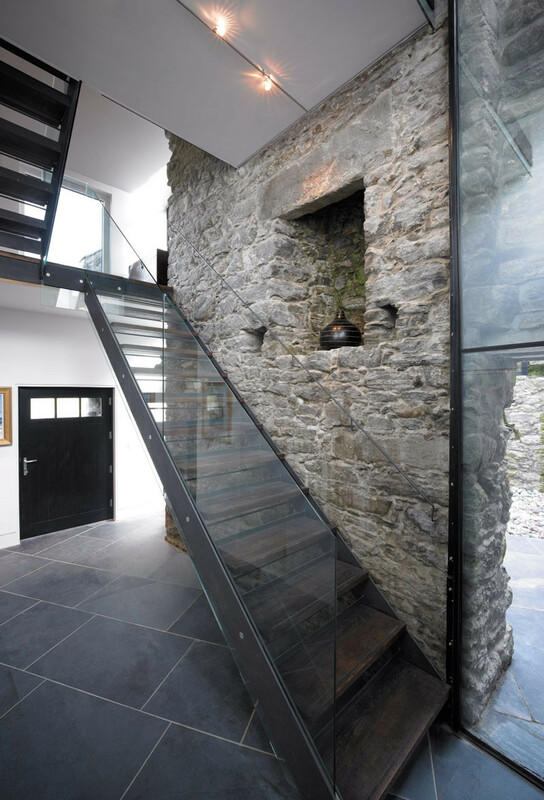 An original stone wall creates a sense of the old within the new home. 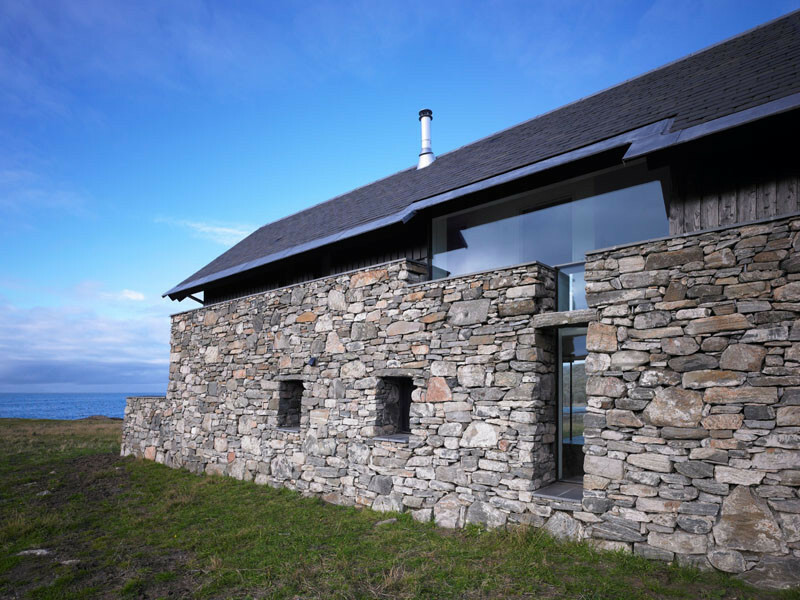 Here you can see how another stone wall, which has been stabilized, has had new windows installed into the original structure. 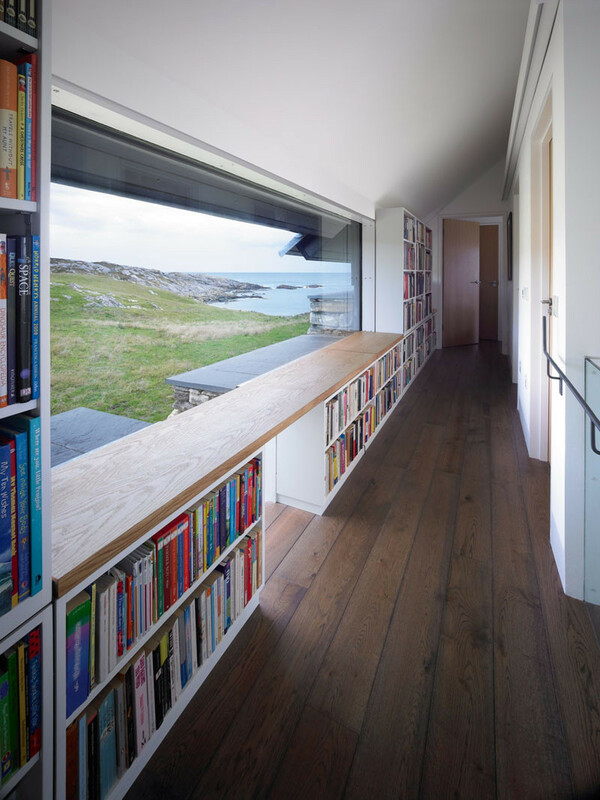 Upstairs, a large window seat provides the perfect view for relaxing and reading one of the books from the bookshelves. 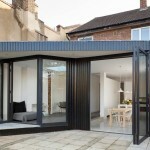 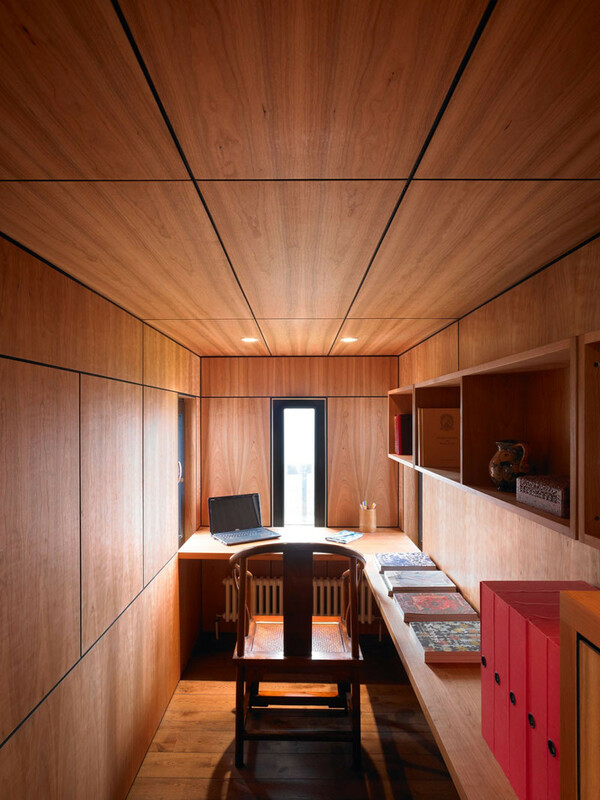 A small home office is tucked away and covered in wood. 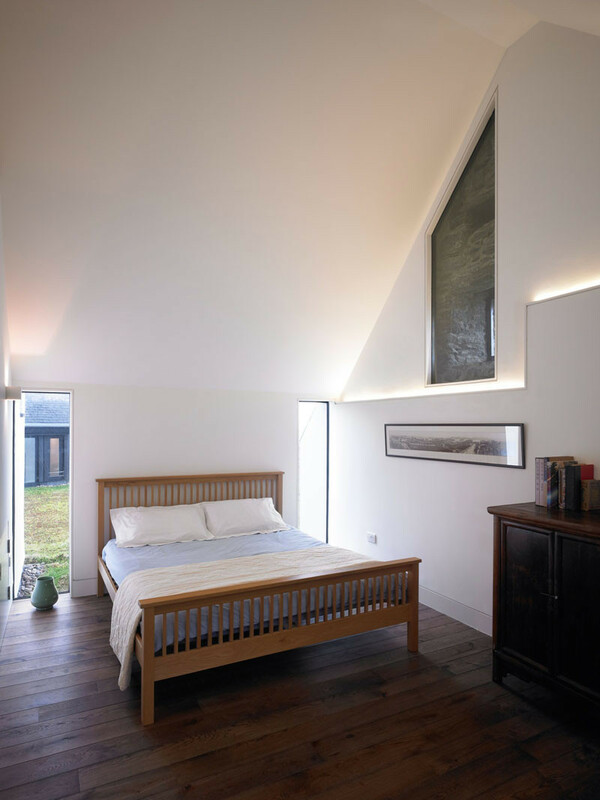 In the bedroom, there’s a glimpse of the original building through the glass panel.